The Lagos State Muslim Pilgrims Welfare Board, says 1,353 pilgrims from the state have been transported to Saudi Arabia for the 2017 hajj. Commissioner for Home Affairs and the Amirul Hajj, Dr. AbdulHakeem Abdul-Lateef, via a statement issued, on Thursday, in Lagos, by Jamiu Dosunmu, the board’s spokesperson, said they were transported in four flights. 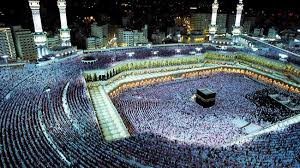 “As at today, 1, 353 pilgrims from Lagos State have touched down in Saudi Arabia for the hajj exercise, and we have done everything to ensure their comfort,” he said. “Organisation and conduct of Nigerian pilgrims during visits to the prophet’s mosque and other important sites has been a source of admiration to pilgrims from other continents. “I will emphasise to our pilgrims that they should be wary of luggage they hold for unknown persons and they should not be found in possession of banned substances. “Drugs could be hidden in onions, dry red chilies, cans and other unsuspecting items,” he warned.